February 8-10, 2013: Steve & Marcie at the MBNA Convention & Industry Trade Show in Cincinatti, Ohio. 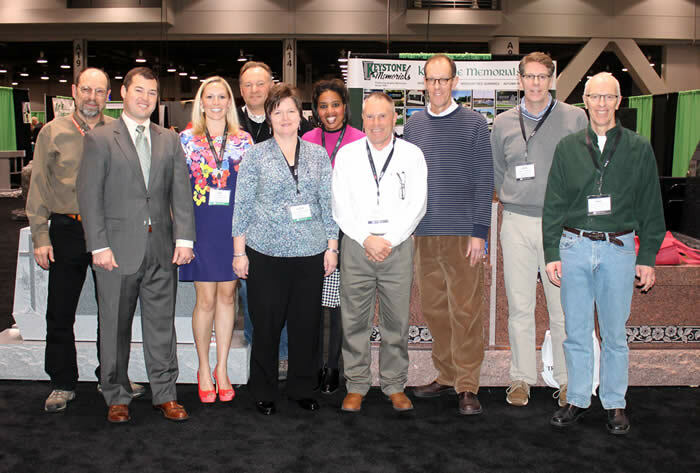 They participated in several educational seminars, previewed new equipment and tools for the monument industry and stopped at the Keystone Memorials booth for a photograph! 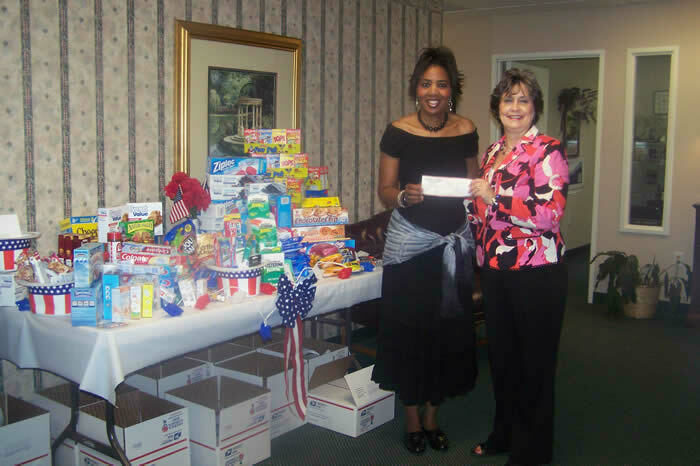 June 7, 2010: Wells Fargo Advisors and the American Red cross have joined forces to ship U.S. troops serving overseas "survival care kits" containing snacks, toiletries, phone cards and various other items. This effort, known as Operation American Pride, was assisted by Marcie Gray of Dogwood Monument Co. Receiving the donation is Wells Fargo Advisor Joey Sanders.